HIDE established a platform devoted to monitoring the ethical and privacy implications of biometrics and personal detection technologies. The overall goal of HIDE was to engage in a comprehensive scanning of existing resources, and reframe and promote debate on the most controversial ethical and privacy-related issues raised by the convergence between biometrics detection and identification technologies. Ethical Brief on Privacy Enhancing Technologies (Deliverable D3.4A). 1. How can we define Privacy Enhancing technologies? existent within member states of the European Union? 3. What are the ethical ramifications? Invited speakers were Michael van der Veen (Philips, General Manager priv-ID Biometrics), Juliet Lodge (Professor of European Politics, University of Leeds, UK), Jonathan Bamford (Assistant Commissioner and Director of Data Protection Development, Office of the Information Commissioner), and Niovi Ringou (European Commission, Deputy Head, Media and Data Protection). Round panel focus group discussion was chaired by Ruth Chadwick (Cardiff University, UK). See the meeting report & agenda. The meeting explored the extent to which these approaches should be refined or altered, as well as exploring the ethical and social issues identified with each approach. Invited speaker were Pete Bramhall (Privacy & Identity Research, Hewlett-Packard Laboratories), Michele van der Veen (Executive Officer of Priv-ID), Sotiris Ioannidis (Institute of Computer Science, Foundation for Research and Technology - Hellas), and Nicolas Delvaux (The Turbine Project). Round panel focus group discussion was chaired by Ruth Chadwick (Cardiff University, UK). See the meeting agenda and meeting minutes. The final focus group meeting took place in in London, 14 May 2010. 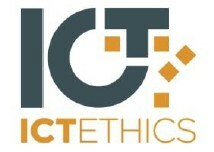 The main purpose of the meeting was to make contributions and recommendations to the final version of the ethical brief. Invited speakers were Ruth Chadwick (Cardiff University, UK), Mireille Hildebrandt (Vrije University Brussels, Belgium) and Antoinette Rouvroy (University of Namur, Belgium). Round panel focus group discussion was chaired by Juliet Lodge (University of Leeds, UK). See the meeting agenda. See the official HIDE project website. Agenda for the HIDE Final Conference, Brussels, 9-10 Dec 2011.